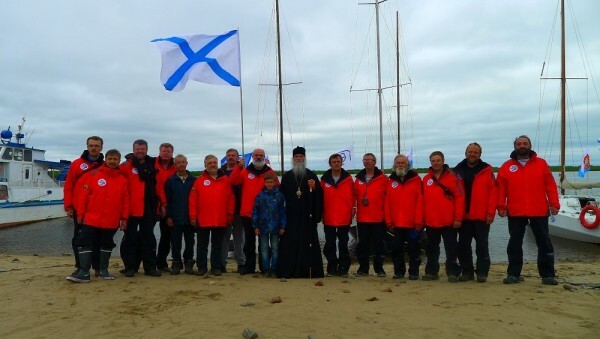 Moscow, July 17, Interfax - Bishop Iakov of Naryan-Mar and Mezen conducted a prayer service and blessed yachts of the Sea Arctic Complex Expedition dedicated to the 700th anniversary of St. Sergius of Radonezh. Crews of four yachts started their journey from Naryan-Mar port. The route is 2460 km long and will take 30-35 days. The expedition that was prepared in close cooperation with the Naryan-Mar Diocese will become the first stage in work of the Spiritual Heritage of Russian Arctic Commission set up at the Association of Russian Polar Explorers, the Moscow Patriarchate’s website reports. The tasks of the expedition includes a sea journey of the 5th category of complexity in high latitudes with hard wind and waves regimens surrounded with ice far from the banks where yachts should be absolutely autonomous for a long time and be able to stand storms; a historical and geographical research following the routes of pioneers in the 18th-19th centuries – to south-east banks of the New Land, the Vaygach Island and adjusting islands, finding out memorial places of developing Arctics, defining conditions for setting up a permanent settlement in the 21st century.